Tiffany Lynn Grant is an American voice actress who is known for her English-dubbing work with the former ADV Films on such anime films and television series as Neon Genesis Evangelion, in which she voiced the character Asuka Langley Soryu. Grant is also known for portraying Nojiko in One Piece, Altena in Noir, and Ryoko Subaru in Martian Successor Nadesico. Although appearing in ADV titles, she was an independent contractor, not an ADV employee. Grant currently works at FUNimation and Seraphim Digital. Grant enjoyed her role as Neon Genesis Evangelion's Asuka so much that she briefly reprised the character in the radio plays and fan-produced anime derived from the fanfiction series Neon Genesis Evangelion: R, as well as cosplaying as Asuka (in Asuka's familiar red EVA-02 plugsuit and her school uniform) at anime conventions. She reprized the role of Asuka in Funimation's Evangelion: 2.0 You Can (Not) Advance. Grant was born in Houston, Texas. She is married to Matt Greenfield, director, co-founder of ADV and also a voice actor. (Voice of Makoto Hyuga in Neon Genesis Evangelion under the pseudonym Brian Granveldt). 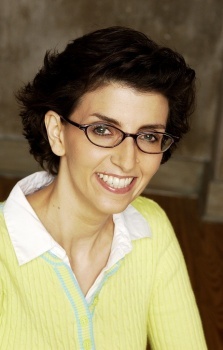 What the Moff, she's the voice of Moffle? Absolutely Moffing excellent - end of Moffing story! Her VA for Kud is so cute! Her voice as Mei's mother in Say I Love You was obnoxious. the German accent is brilliant!